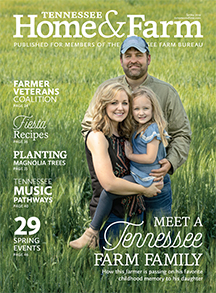 The importance of agriculture to the state of Tennessee is undeniable, accounting for 9 percent of the state’s economy and $57.6 billion in output. A new report from the University of Tennessee Institute of Agriculture reveals the economic impact of agriculture by county. Online reports for each of Tennessee’s 95 counties are available on an interactive map. In the reports, agriculture includes crop and livestock production; food and fiber processing, such as ice cream plants and textile mills; farm inputs, such as fertilizer plants and feed mills; and forestry-based products, such as sawmills and paper mills. Reports include the multiplier effect, which is the impact of agriculture on the non-agricultural part of the economy. Examples of the multiplier effect include farmers and other agricultural businesses purchasing local inputs, such as utilities, and local spending by agricultural workers and owner operators. 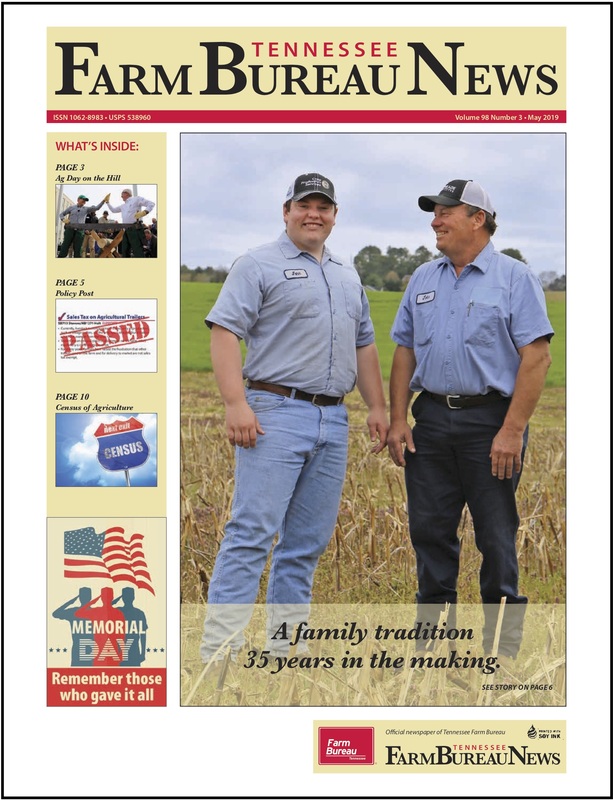 Each report provides an estimate of agriculture’s contribution to output — dollar value of sales — and jobs for the county in question. For example, activity in agriculture and the resulting multiplier effect are responsible for $1.017 billion in sales and 4,003 jobs in Weakley County. Agricultural activity is spread out across fields, pastures and woods, and this lack of concentration can make its contribution much less obvious than that of a large factory. “The information in this report can be used to educate local leaders and the public at large regarding the contribution of agriculture and the necessity of resisting unwarranted encroachments on agricultural activities,” adds Hughes. 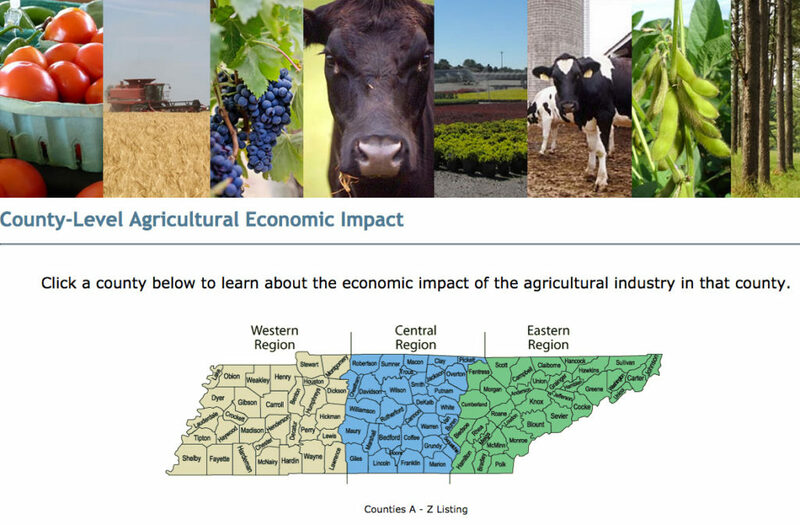 To access the reports, go to ageconomicimpact.tennessee.edu and click on the county of interest. The webpage also provides training materials for those who wish to learn more about the method of analysis used to generate the reports. 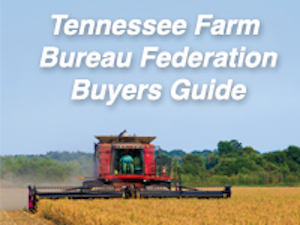 The research was supported by Farm Credit Mid-America; Tennessee Cattlemen’s Association; Tennessee Department of Agriculture; Tennessee Farm Bureau; and the Tennessee Soybean Promotion Board. It was also supported by members of the county-level agricultural economic impact workgroup that assisted in developing the final version of the reports.